Because, there were too many sketches to cram onto a single webpage, here is a second one. I believe I can squeeze in, at least, twenty or more drawings here. More sketches turn up here every day, but this will have to be enough. 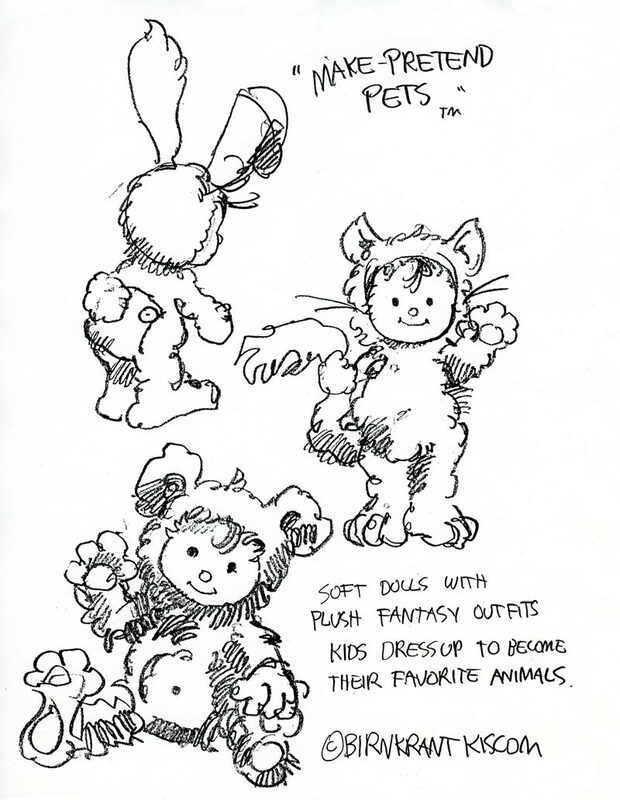 The first page of sketches contained mostly dolls; this page will be other stuff. I don’t know why I was always fond of bears. They kept appearing everywhere. 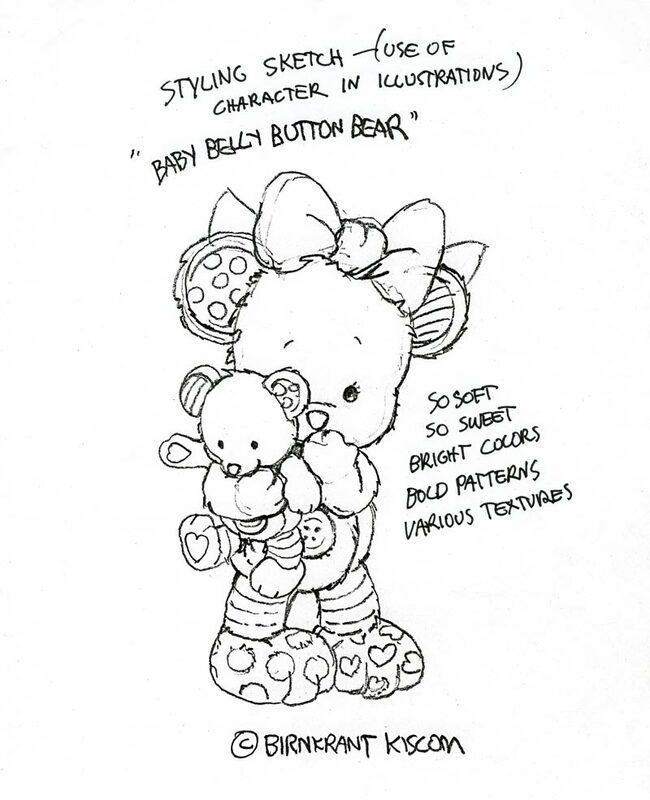 Here is one I found adorable, called, “Belly Button Baby Bear.” It was more cute than clever. 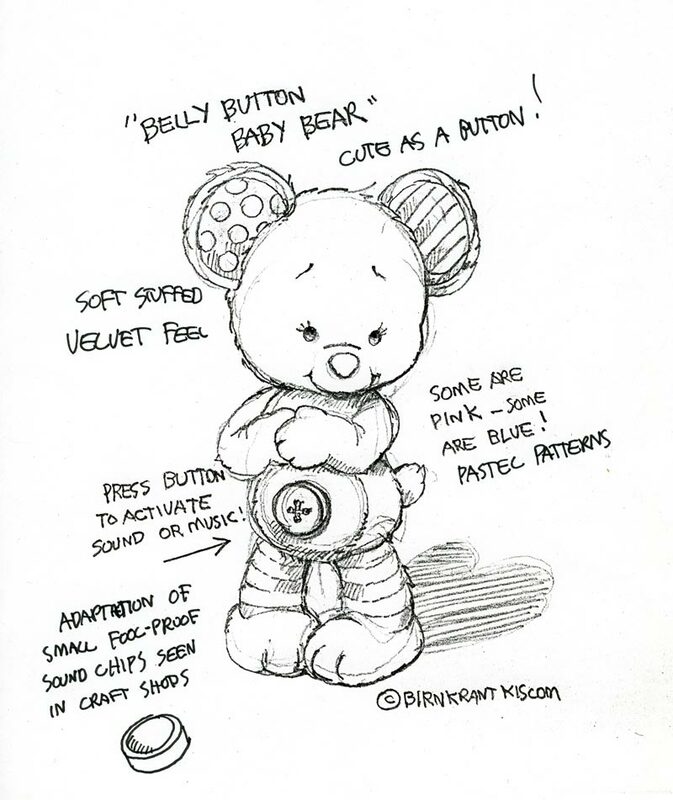 Sometimes, I wonder if looking cute is enough, in this era of “electronic product features.” I put a sound chip in these baby bears, just for good measure. 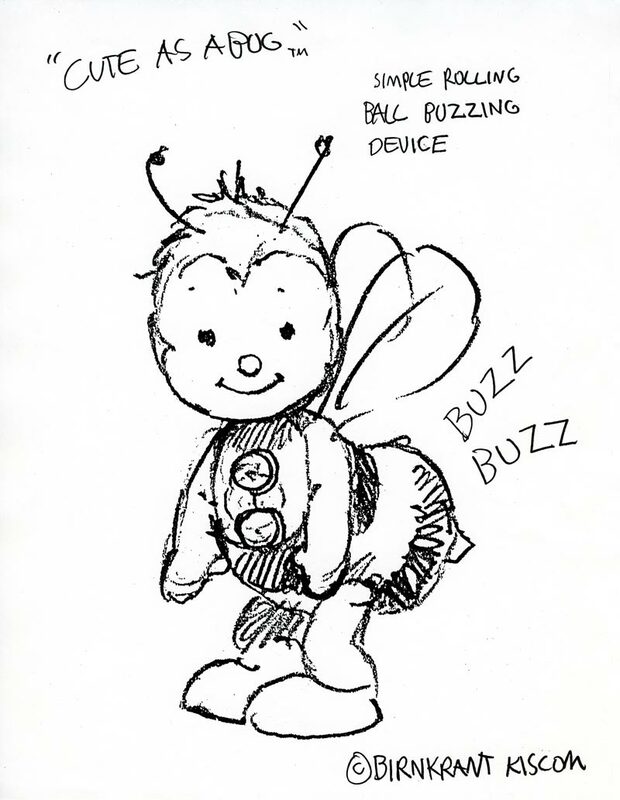 If there is any lesson that I learned the hard way from my adventures in the toy industry, it might be that: “Bugs don’t sell!” After a concept called, "Fuzzy Buzzies" failed, even though, it was lavishly produced, I should have known better than to mess with bugs again. Nonetheless, I continued to embrace insect concepts. I realize that this must have stemmed from my childhood, when my mother used to say things, like “snug as a bug in a rug” and “cute as a bug’s ear.” So here are a couple of cute bugs. The first would have a buzzing mechanism inside. This consists of a container with ridges on its interior, and a rolling ball inside. I have seen (and heard) this device before, and I can testify that it is effective. The second insect is of the lightning variety. Its tail would have a light inside. 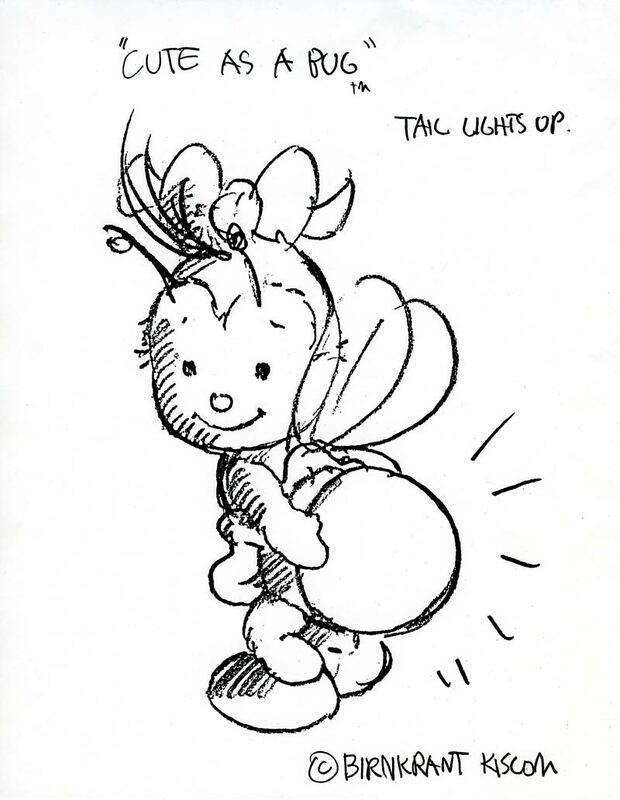 If a toy like Glo Worm can become a classic, why not a “Lightning Bug? 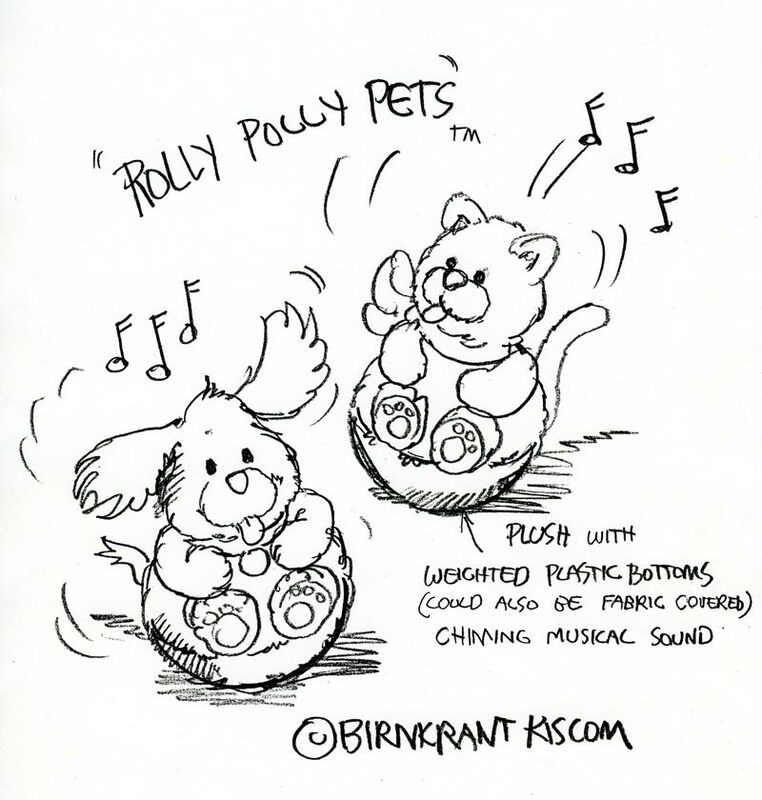 Here’s a group of Roly Poly toys that had no chance of happening. 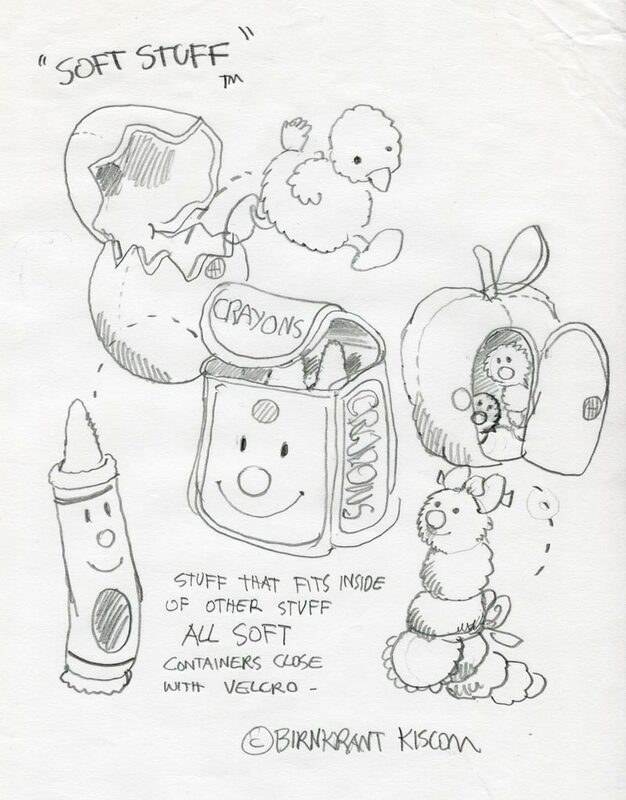 They illustrate the fact that I cant spell, and also that I am familiar with toy history. 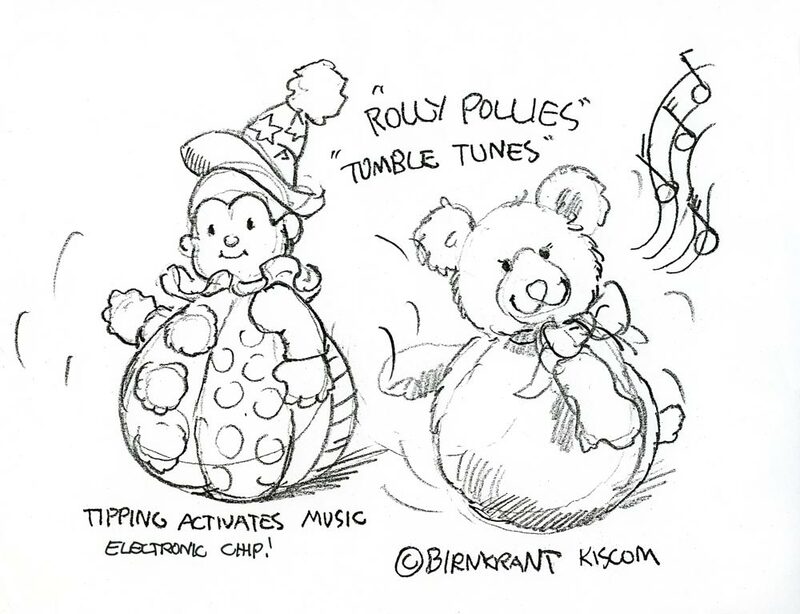 Roly Polys (correct spelling) go back at least a hundred years. Usually, they were made of composition, but I believe that some, manufactured by Steiff, were made of plush, like these. 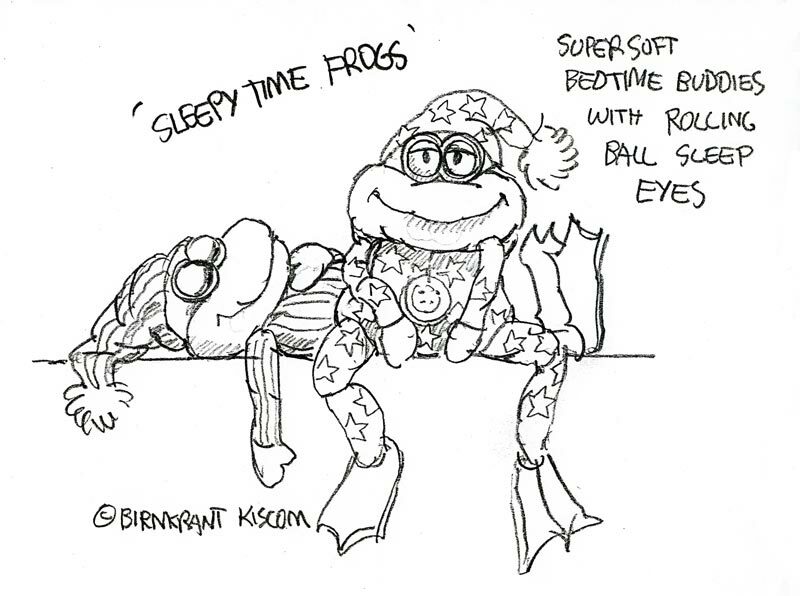 Sometimes, I drew stuff just for the fun of it. 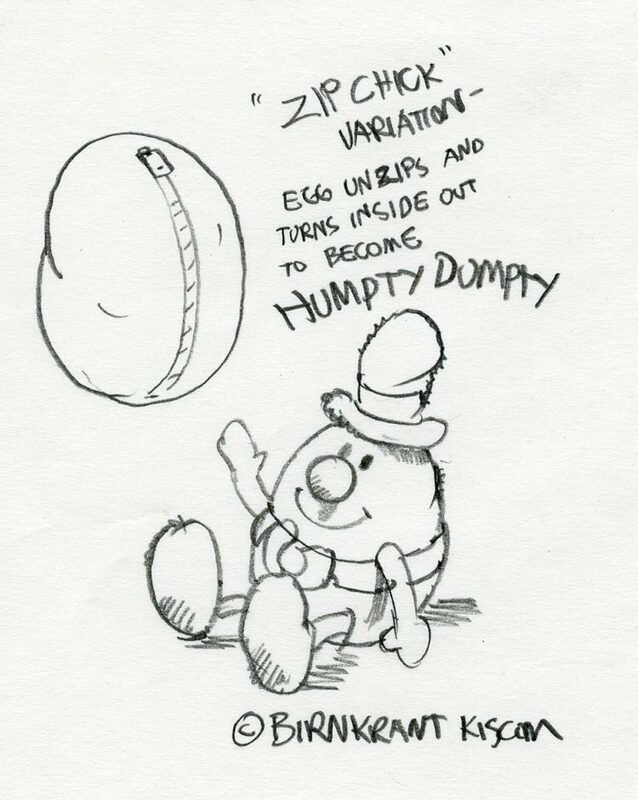 This gentle concept was so basic it would be unlikely to be sellable. I simply isn’t that original. 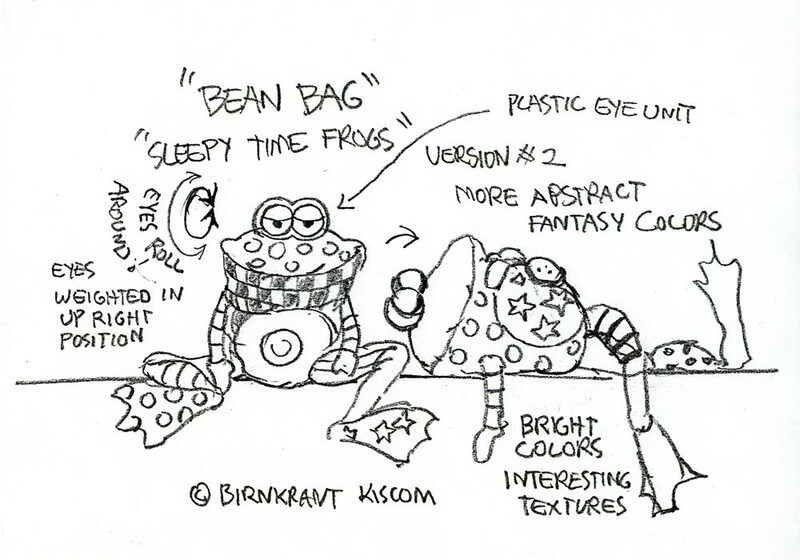 That’s why it never progressed, beyond just a few sketches. 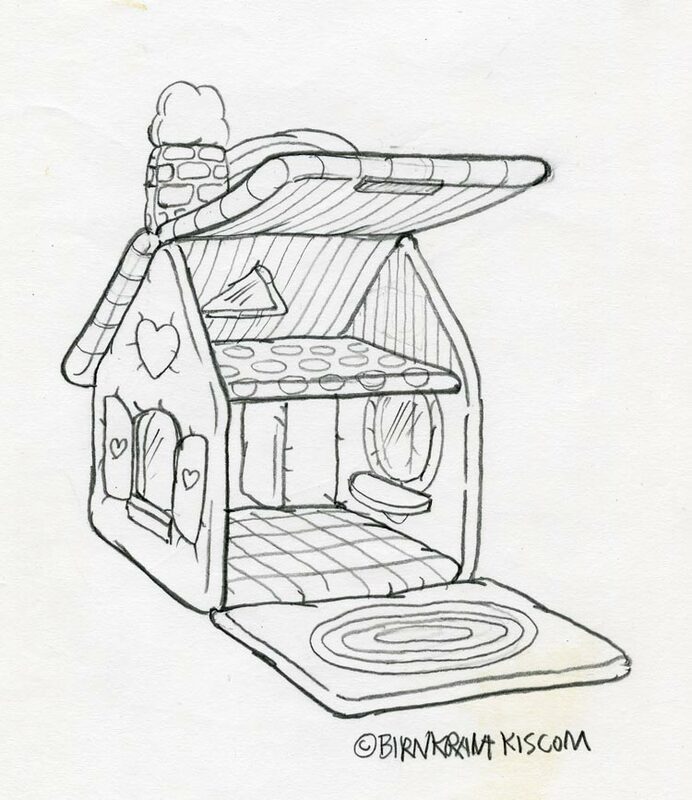 This represents a soft play house for soft dolls. 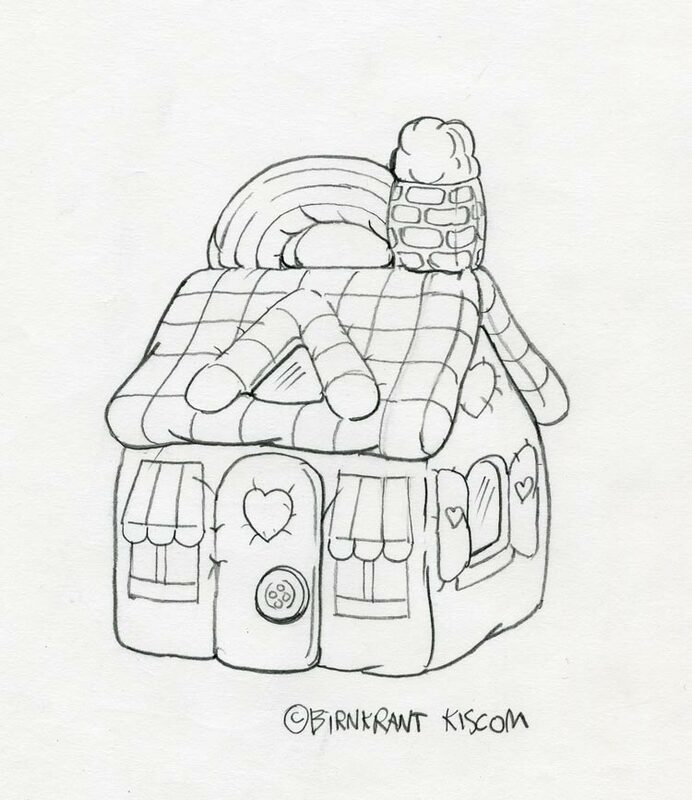 The rainbow is the carrying handle. This is not unique enough to sell, but it is the kind of pleasant stuff I’d make if I had my own toy company. This idea is similar. 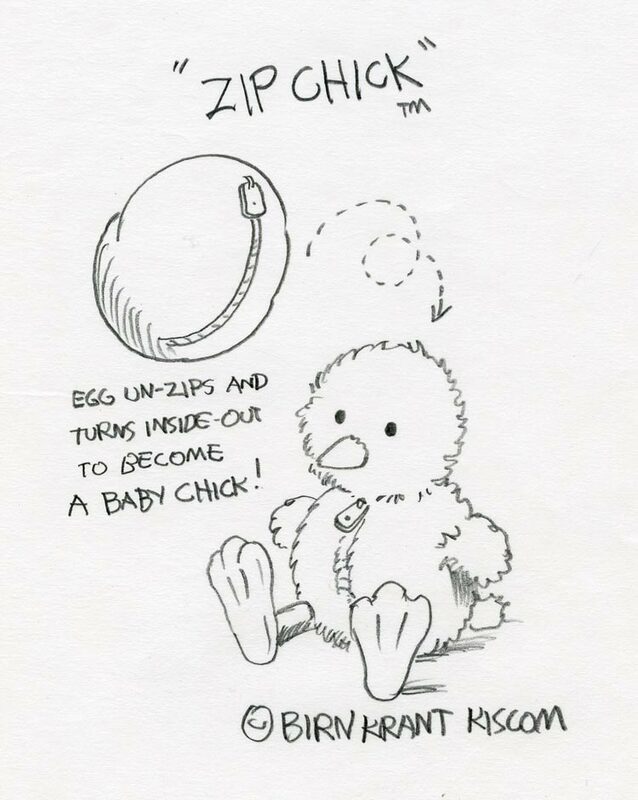 It was part of the series of sketches I made in the wake of our relatively successful line of dolls called, "C.O.Ds," or Cuddle on Delivery. 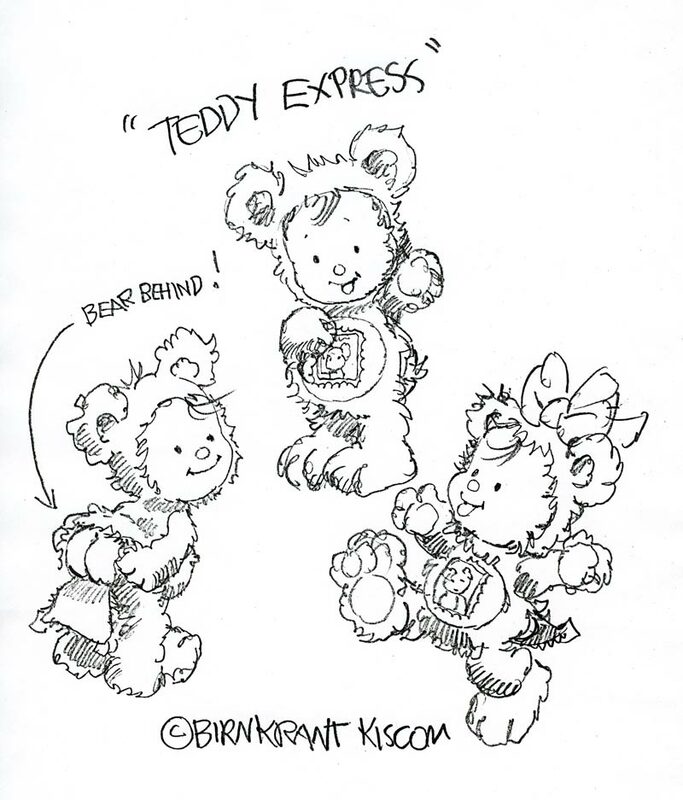 This one was a real stretch, kids in bear suits, each with a postage stamp on its chest. 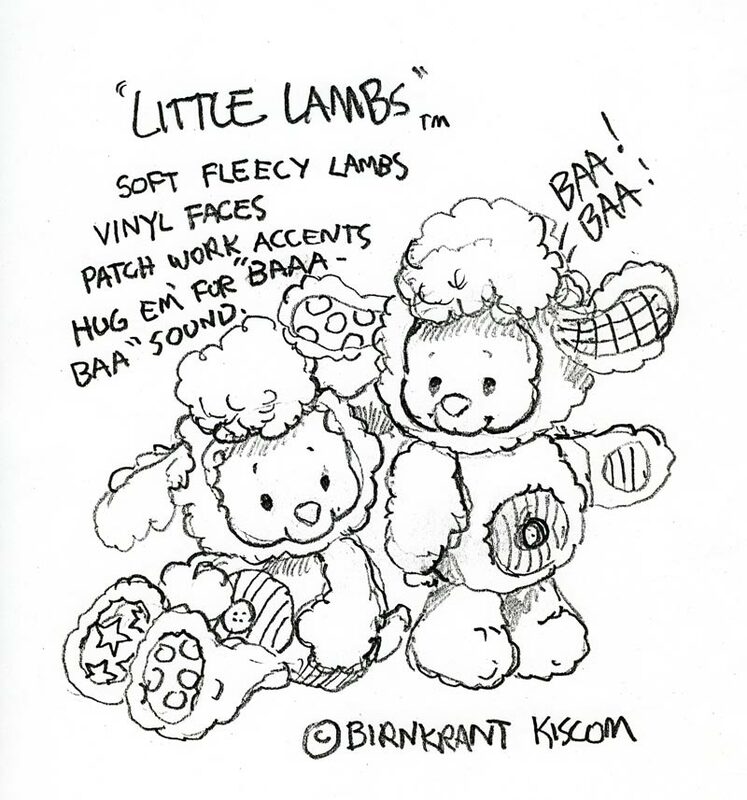 As animals go, there’s nothing quite as lame as lambs! I don’t know why I kept drawing them. I guess, it was because we did sell one, after the fact, to Fisher Price. 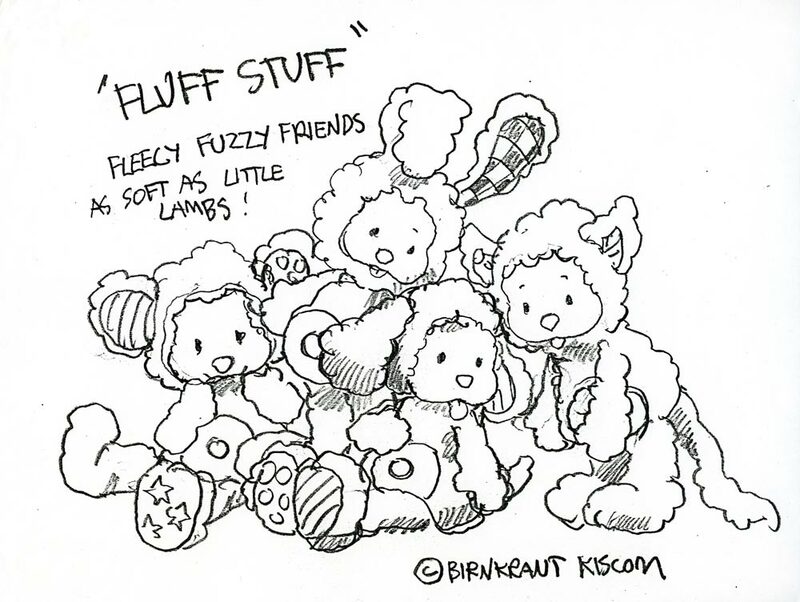 I guess, I just like Fuzzy Stuff. Here I go again, another bug! 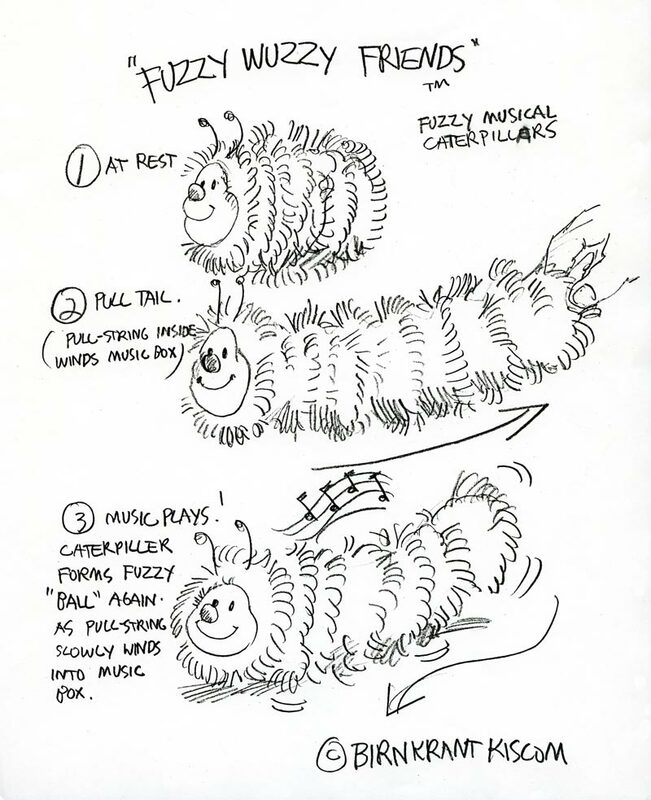 While not very original, at least, this Fuzzy Wuzzy Friend is musical. 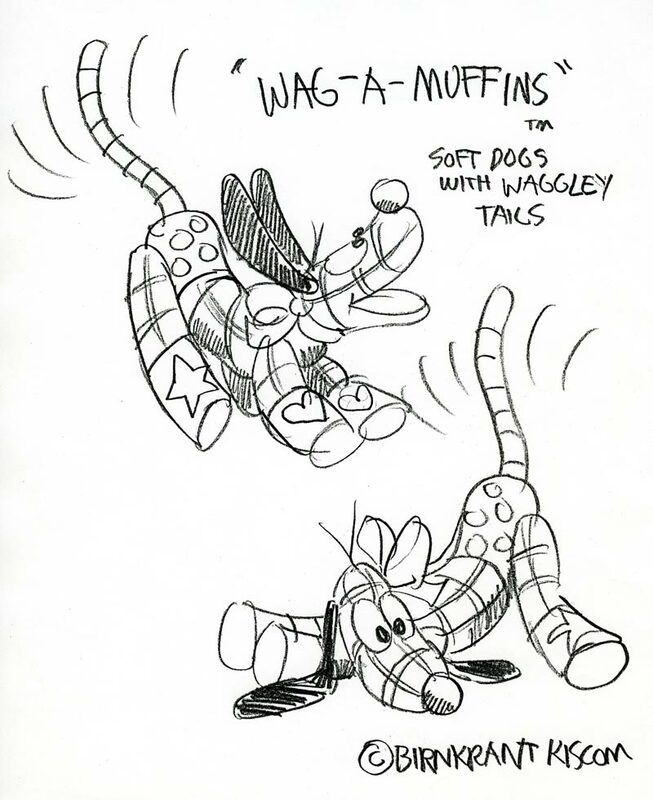 This early sketch predicted "Wiggle Waggles," a concept that we managed to sell. The dog resembles one I used before in the concept we called “Sleep Stars.” Clearly, I realize now, in retrospect, I had a soft spot in my heart for patchwork pets. “Toot Sweet.” That’s another expression I can attribute to my mother. It's something she used to say that meant “right away.” This is sort of a cute version of Whoopies, at least as far as the apendeges that toot. 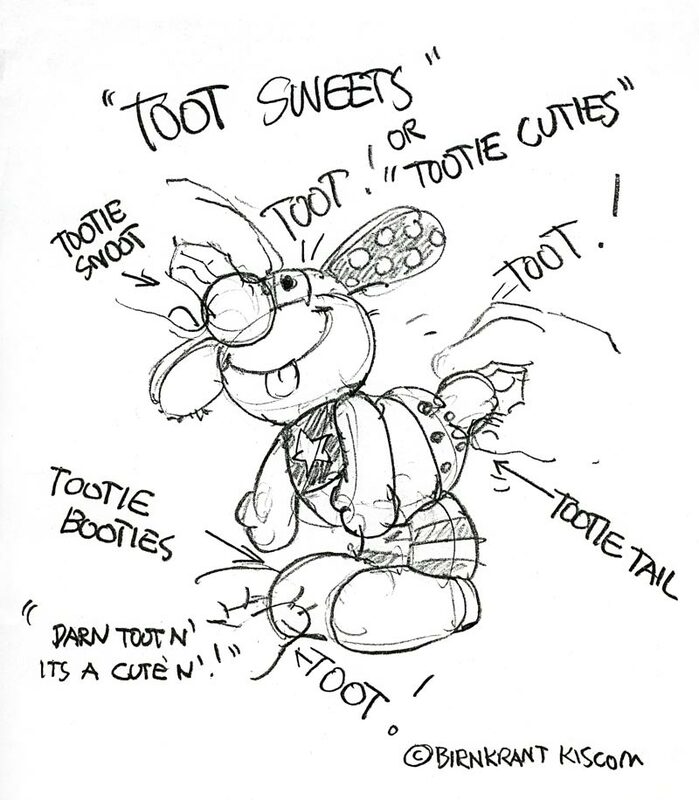 I especially like the Tootie Booties. 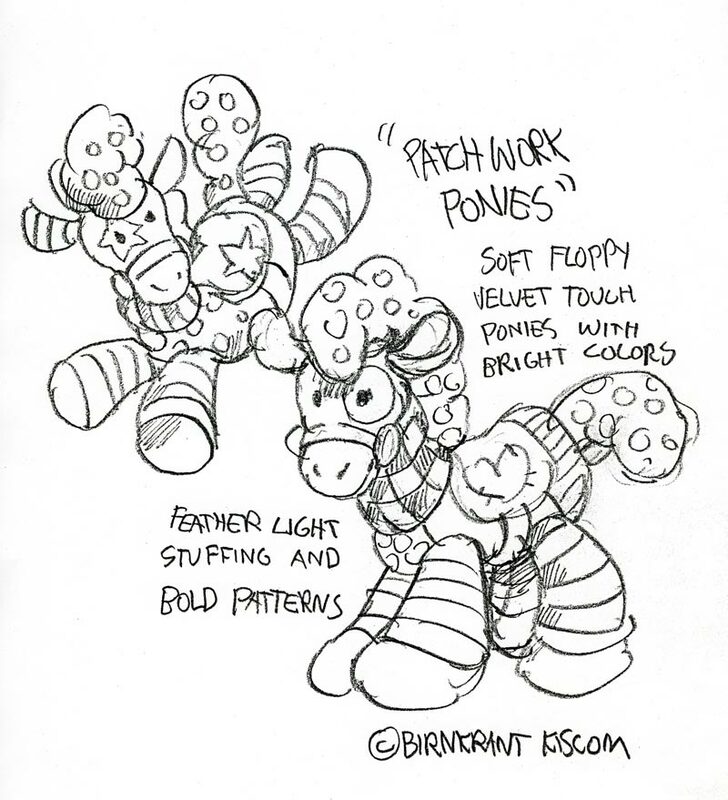 These “Patchwork Ponies” are considerably more attractive and upbeat than sleeping frogs. Aw! These “Super Sleepy Pets” are so sweet. Bears again! 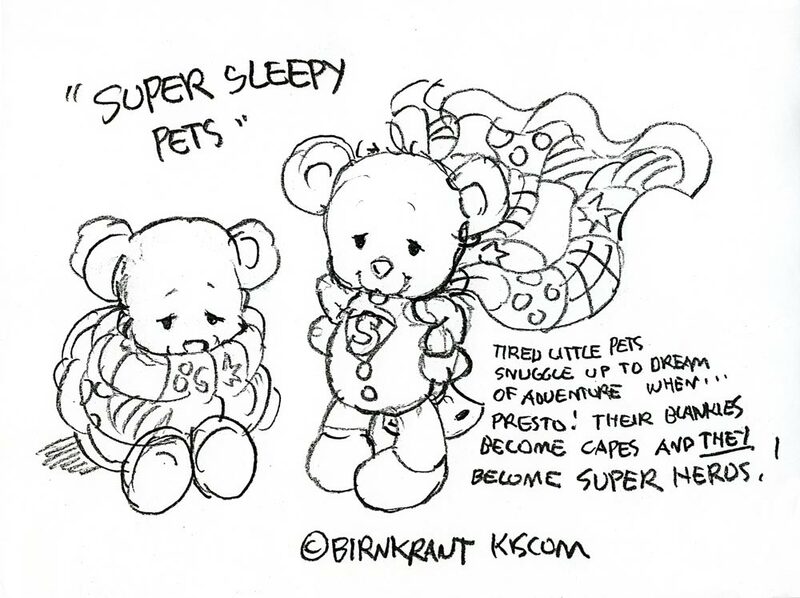 The tired little bears snuggle up to dream of having an adventure, and “Presto!” Their "blankies" become capes, and the sleepy bears turn into superheroes! This is another one I like. 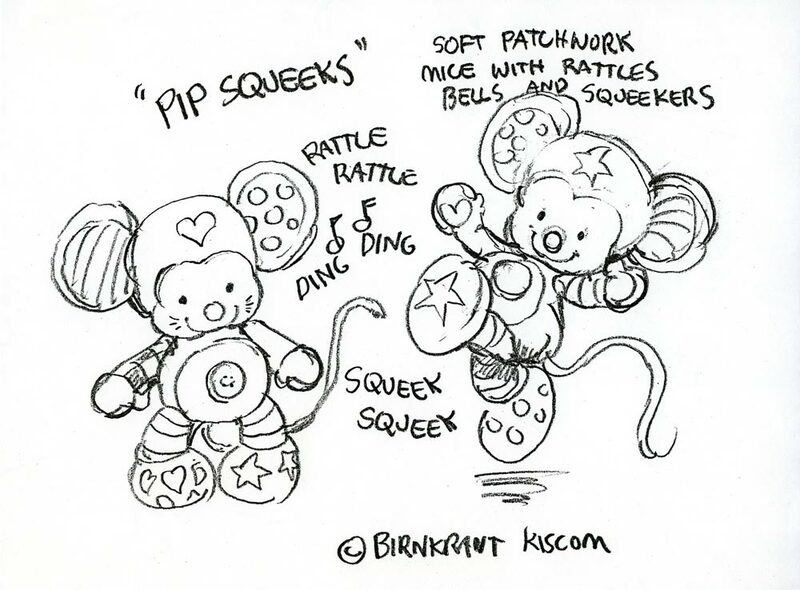 “Pip Squeaks” are soft patchwork mice with rattles, bells and squeakers. OK! The page is full. 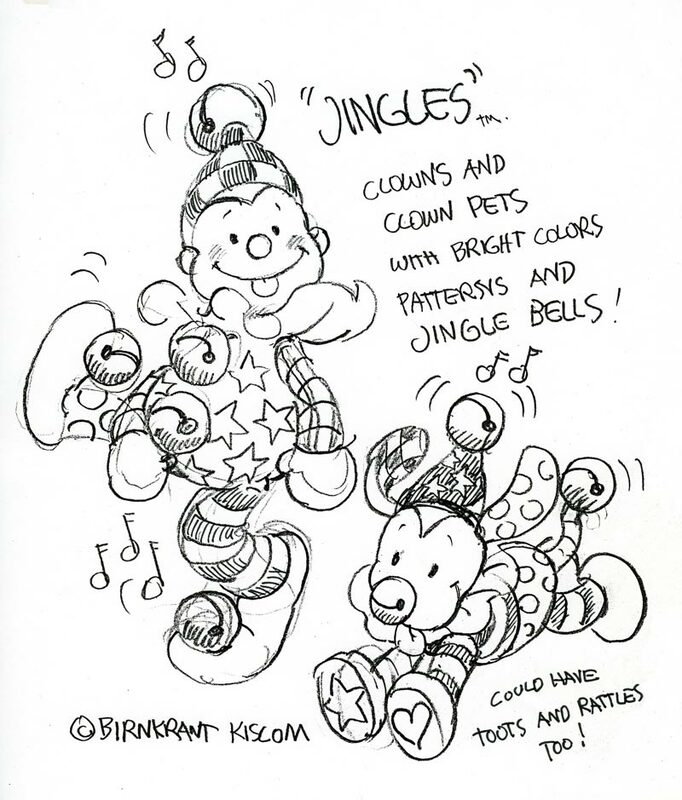 I think this last one, “Jingles,” is my favorite. 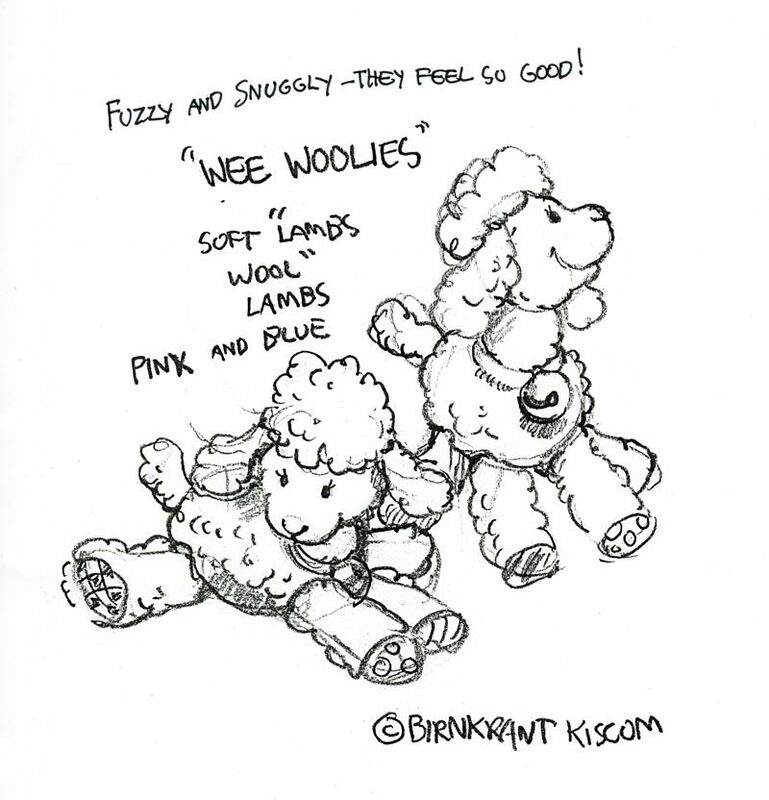 I like the styling, and kids like jingle bells, the bell nose on the pup, especially. Whoever said that clowns are scary? Every day new stuff shows up. 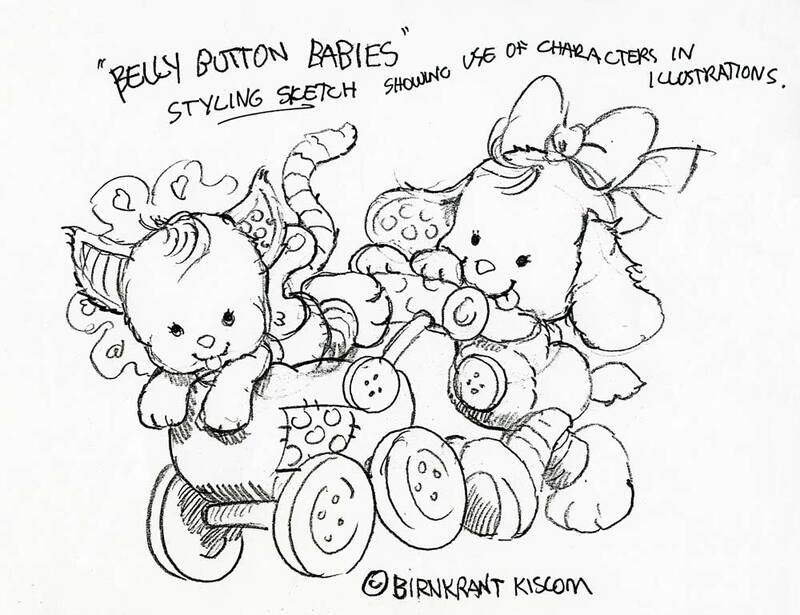 These belly Button Babies should have been up at the top. But instead of moving everything, I’ll tuck them in here near the end. I rather like them; drawing them is lots of fun.